It is with great pride that I extend this letter of reference to (Tony) Above and Beyond Grounds Maintenance Company for the incredible service they have provided to Creighton University Medical Center and to me personally, over this past year and a half. I initially hired Tony and his crew to perform basic lawn maintenance around the hospital, following an unfortunate economic shift that required us to eliminate the hospitals full time Grounds maintenance person. 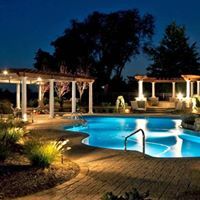 However, Tony and his Team immediately stepped up to the plate and assumed all of our many grounds maintenance responsibilities, as well as performing many unrelated personal services. Tony has earned the respect and admiration of our entire hospital staff for his impeccable service and his Teams many skills, which have transformed our once drab grounds in to a living work of beauty. 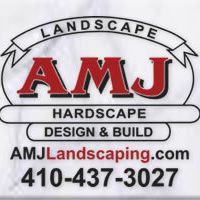 I would highly recommend (Tony) Above and Beyond to anyone needing a truly professional lawn and landscaping company. Tony is not only a skilled professional, he is also one of the most honest and sincere men that I personally have had the honor and privilege of working with. I took advantage of the special for aeration/seeding this fall, but not only did I get the aeration and seeding done ( recommended in the fall), I got the weed, Fertilizer & lime for free. 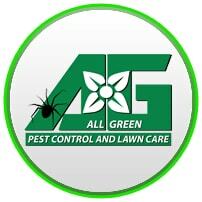 Agape Lawn care is professional, knowledgeable and prompt with responses/service. Looking forward to a green lawn & curbside appeal. Thanks guys!!! We are extremely happy with the service and results we have had with All Green. They have been treating our property for pest and weeds for two years now. The grass, which was new sod, had tons of weeds. We were really frustrated, and treating it on our own wasn't doing any good. Now, after two years of consistent treatments, the lawn is the nicest on the street, with a beautiful, healthy green color and NO weeds! Thank you, All Green! I highly recommend this company. Such a pleasure to have contractors at my house that did what they said and then some. My yard is the envy of the neighborhood and far nicer than expected. Tommy and Amy are off the charts AMAZING! 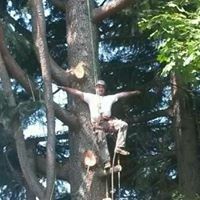 Anderson has done several jobs for us...tree removal, sod installation, general clean up and maintenance. They are quick, professional and have fantastic customer service. We received estimates from over 15 landscape companies. None of them could even come close in their professionalism and customer care. If you need help with the outside of your home then Anderson should be the company you call. We are very happy with the work. If you have a "Honey Do List"...call Anderson Landscape! Awesome Cutt and I have had a landscape creation and maintenance relationship since spring of 2005. From bluestone retaining walls, walkways, decorative landscape curbing, and rock edging, to raised flower beds, re-sodding, and planting. Jamie and Staceys integrity, expertise and dedication to customer satisfaction have made them a joy to work with. The results are the pleasure I receive from looking at my lawn, gardens and landscape. B. Rushing, Patrick Russell and team have transformed our yard/garden! Last summer we hired B. Rushing after SavATree removed a VERY large, old oak tree in our front yard. I was so sad at the time to see our tree go, but Patrick replaced the oak with a new healthy tree, sodded most of the front yard and made other helpful landscape suggestions and changes. We signed up with Rushing's monthly maintenance program and my yard has never looked so good! Patrick listens and quickly takes care of any issues which arise. He is extremely pleasant, knowledgeable, and reliable. Thank you B. Rushing and Patrick! I am so glad you are taking care of our landscaping needs! Wayne Sr. and Wayne Jr. are top notch. They not only provided the best price of the quotes we received, but they were here to begin work within a few days (going out of their way to make extra trips to our location). The work completed looks great and the communication with them is outstanding. I would recommend Brockman Tree & Lawn Care to anyone looking for this service. Cahill Lawn Care performs my annual lawn mowing and fertilization. In addition to annual lawn maintenance he performs my spring and fall clean-ups. Also this past year Cahill Lawn Care installed a front walkway and front granite steps leading to my front door. Mr. Cahill and all of Cahill Lawn Care employees are very professional and provide exceptional service. 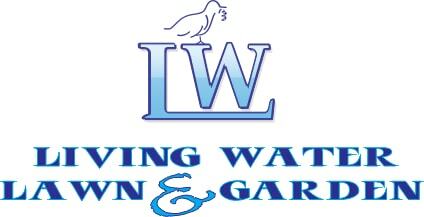 I have gone through a few different Landscaping companies through the years and Cahill Lawn Care has been the only one worth keeping around they are very hard workers and care about the quality of work. Overall my interaction with the company is very easy from estimate stage to final invoice if I have a problem or concerns I email Mr. Cahill and the problem or concerns is taken care of immediately. Mr. Cahill is very honest and fair with his pricing and does what he says he is going to do. We have used Chad's Lawn Care services for about 3 years and have been very happy. If I have had any issues I let him know and he takes care of it right away. I highly recommend this professional company. Work completed as promised on schedule. Did a fabulous job!! My yard is beautiful.Thank you for the remarkable job. Your attention to every detail, and your competent work staff was remarkable. We definitely recommend your company. 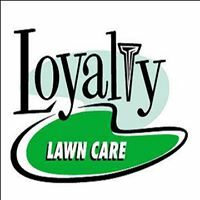 Complete Lawn Care, Inc. (CLC) has been taking care of our yard for several years now. They have been wonderful. We now have grass in places we never thought it would grow ... thanks to CLC. We have used the complete array of lawn and care services they provide and would highly recommend them to anyone. The workers are professional, courteous, and responsive. CLC has made a big difference in our lawn. Had Crestview take over one of my bigger accounts due to an illness, he has done a great job with the account while I rested up. 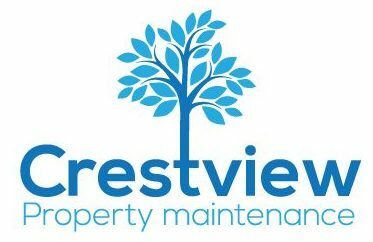 I'll be using Crestview for our winter work also! No complaints here! I called 7 other lawn care companies, and Diamond Lawns was the ONLY company to call me back! Not only that, but they did a great job repairing and reprogramming my sprinkler system. Thanks again! Andrew and his team did an outstanding job with our recently completed whole yard project including palms, plants, trees and pavers. Professional, timely and thoughtful; can't ask for anything more in a landscaping company. Fullers is a good campany that has always done good affordable work for me. I switch a long time ago and now I don't have to worry about anybody stealing any of my stuff. He is young but goes the extra mile. We have been using Green Lawn Fertilizing for several years now and we get compliments all the time. They say that our lawn is the best one in our neighborhood! Thank you Green Lawn! Great company. Stand behind their service, and do an excellent job (Chad is great). Nothing like the "corporate companies" out there. I came home that night to a beautifully mowed and cleaned up yard and lawn. Everything looks so nice! And they are coming weekly so the yard doesn't get out of control again! I especially like that they were very respectful of my lawn furniture and knick-knacks. I highly recommend Greenlawn Landscaping. They have been a very professional company for many years. They practice customer service extremely well. Everyone really cares about getting it right from the owners, managers, office staff, and most important the technician who performs the services. Can not think of anyone better!! If you guys want best customer service for snow removal, landscaping AND lawn maintenance then call Kelly LLC. Used to work for them last summer and the guys are excellent with the best equipment and dedication to make you, the customer, happy. Landscape 180 removed all the weeds from the front and back of my house. They did an amazing job and the yard looks beautiful now! I would highly recommend Landscape 180. I am very satisfied with the work they did. I don't often take the time to write a review; however conveying the caliber of service from Debbie and Gary, the owners of this Lawn Doctor, is easy, because it's outstanding. They were referred by highly satisfied clients, my parents, who used them for their standard Lawn Doctor service package, before they moved from Cherry Hill. Other than cutting the Lawn and raking leaves, Lawn Doctor offers other lawn and garden services that I have utilized many times, as well. 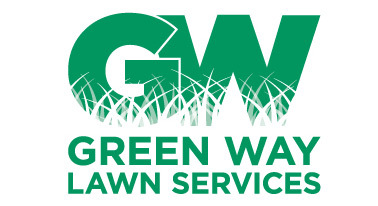 As a result of my highly satisfied experience, I have recommended Debbie and Gary's Lawn Doctor Service to everyone I know in Cherry Hill. No one I know has ever been dissatisfied! Our lawn looks great, we've used synthetic lawn care programs in the past, and we were not too pleased with the results. We switched to Lawn Medic this year, and we are really happy with the results the organic fertilization program provided. It's also nice to know it's not harmful like a synthetic program. Ryan was very informative and his crew were very professional, hard working, punctual, and polite. They are very efficient in their work and every day go above and beyond what we expected. Several nice touches that were beyond the scope of the job showed what a class working crew they truly are. 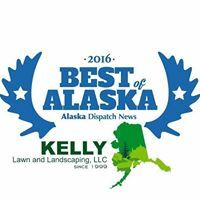 Lawnsplus has always been a very good lawn service under Jamie's ownership and I have been a client for many years. I do appreciate Matt Shroyer's management also. The employees are always personable and do whatever is needed. Mark made it clear that he would do whatever would make us happy, and he fulfilled that. He always returned calls promptly and did his best to ensure we were satisfied. Great work Mark, and our compliments to your crew. All were professional, courteous and helpful. We also appreciate your patience and willingness to rework our design, no less than 3 times, at our request due to budget changes. Thanks again and we'll definitely refer you. This is our second year with Loyalty. Last year our yard was a total mess. We sodded about 10 years ago and it had just deteriorated even though we had tried to keep up with it. Loyalty has totally changed everything. The weeds are gone, and the grass is lush and dark green. Next door neighbor told me we have the best lawn in the area. So, we are very happy with Loyalty. MJR Landscape is so easy to work with. They provide a great service, on time with professionalism and skill at a competitive price. They provide lawn mowing, weed whacking & edging for our home this year and the yard looks wonderful! I'd recommend their service hands down! After MRW sprayed my lawn with feed and weed control, my lawn looks a whole lot better. It's thicker than it has ever been. The guy who cuts my lawn now is cutting it about 4 inches which helps the grass to stay healthy during the very hot weather we have been experiencing the month of June. I look forward to having a better, healthier lawn this season by using MRW and my grass cutting guy working together to keep my lawn beautiful this summer and fall. 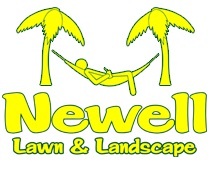 Newell Lawn Services is very professional and produces excellent quality work. Our yard has never looked better! They are extremely responsive and prompt with their weekly and special services, with a wonderful customer service staff. Our lawn made a dramatic transformation within the first season alone...and we started in late summer! Now, our lawn is green with little need for watering from Spring to Fall. It is thick and obviously healthy. The peace of mind that we're putting something good back into the ground and that the kids and pets in our home and neighborhood are safer adds the bonus that'll keep us with Purelawn into the future. Thanks! My yard is the nicest one on my block, honest! No weeds, green as can be! I love the service people that take care of my lawn! They take the time to answer any questions and really take care in the work they perform! They responded to my inquiry quickly and efficiently and went to look at the job promptly. Received an agreeable quote and job was scheduled soon after. Both Greg and Kimberley were professional and a pleasure to deal with. I would definitely recommend their services and will use them again in the future! Andy and his team arrived on time, properly attired for the task, with each man immediately attending to their specific function. Their equipment was well maintained and ran trouble free. Andy remained on site and kept me informed of the project progress. The work was completed in the expected time. In summary, I would recommend Segrest Property Services LLC as professional, competent, and truly customer focused. They were professional and did a good job. I would recommend them and I would personally use them again. This guy is ok if you don't mind your yard looking badass year round!! Hell of a worker and will do whatever it take to make sure it's done RIGHT!! Got my neighbors hating me cause my yard stays top notch. These guys are outstanding! We found them when we moved to Dripping Springs. They do it all, and our oak trees in the front look perfect as they raised them to let our grass get a bit more sunshine. Thank you!! Daniel and his team provided a prompt and accurate estimate. Daniel went out of his way to ensure that our project was completed on time, under budget and exactly the way we planned. We will definitely both recommend and continue to work with Top Turf. I have been very pleased with the performance of Zeppa's lawn service. In addition to cutting grass they have planted a line of 10 Arborvitae trees to enhance a privacy fence and also removed a pond from my backyard. Their work was completed on time and within estimate. I recommend them for your consideration. Companies that have been around longer typically have more experienced lawn care pros. Lawn care cost is one of the most important factors for customers looking to hire a lawn maintenance pro. 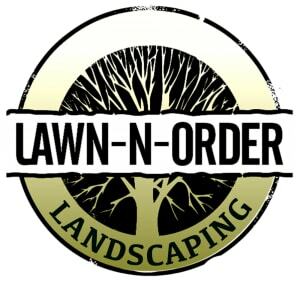 Want to let customers know you are a top ranked lawn care contractor?